This blog is part of our series on Supply Chain Sustainability. For more articles, visit CSRwire. Companies are often reluctant to conduct supply chain audits, for reasons ranging from costs and limited company resources to other unforeseen challenges. Although investment and infrastructure are needed to audit suppliers, the fact is that delaying the auditing of your supply chain to ensure that your business is compliant with environmental and social standards can prove to be more costly than proactive engagement. Worse, it may have a long-term negative effect on your customer base and brand. The good news is that there is a “second-mover” advantage for supply chain audits today. 2015 is the time to act. On the whole, European companies were the “first-movers” in leading many sustainability supply chain audits. This push resulted in building the infrastructure needed to have sustainability metrics throughout the supply chain. Many companies in the U.S. are just now waking up to the reality that customers are demanding transparency and sustainability isn’t just a buzz-word, but a concept that’s here to stay. The infrastructure is now in place for downstream audits around the globe – and there is a real second-mover advantage – as the cost of these audits has come down considerably. The time is right to make a positive impact – be it socially or environmentally – and it’s never been more cost-effective for companies to ensure their supply chain meets the requirements of customers, regulators, NGOs and international governmental bodies like the United Nations. 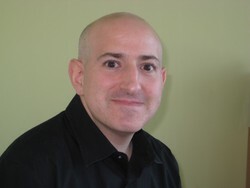 Ian Lifshitz is the sustainability director for the Americas for Asia Pulp & Paper Group (APP). He is responsible for leading the company's sustainability and related stakeholder engagement programs across Canada, the United States, and South America. Ian is also charged with leading the company's North American CSR activities, translating and communicating many of APP's successful conservation, biodiversity and social community programs to North American audiences.